Brian C. Schmidt is Associate Professor of Political Science. Previously he taught at the State University of New York, New Paltz and the University at Wales, Aberystwyth. He holds a PhD in Political Science from the University at Albany, State University of New York. His research and teaching interests are in international relations theory, American foreign policy, and disciplinary history. His book The Political Discourse of Anarchy (1998), which received the Choice 1998 Outstanding Academic Book Award, examines the history of International Relations from the mid-1800s to the outbreak of World War Two. He continues to pursue research on the history of the field and has published numerous articles on the historiography of International Relations. 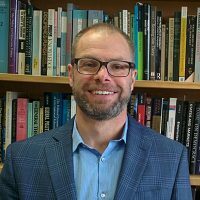 At Carleton University, Dr. Schmidt teaches courses on international relations theory, the causes of war, the United Nations, and American foreign policy. “On the History and Historiography of International Relations.” In Walter Carlsnaes, Thomas Risse, and Beth Simmons, eds., Handbook of International Relations, Second Edition (Los Angeles: Sage Publications, 2013), pp. 3-28.
International Relations and the First Great Debate. London: Routledge, 2012. Joint author with Tim Dunne, “Realism.” In John Baylis, Steve Smith, and Patricia Owens eds., The Globalization of World Politics: An Introduction to International Relations, 5th ed. (Oxford: Oxford University Press, 2011), pp. 84-99. Joint author with Michael C. Williams, “The Bush Doctrine and the Iraq War: Neo-Conservatives vs. Realists.” Security Studies 17 (2008): 191-220. “International Relations Theory: Hegemony or Pluralism?” Millennium: Journal of International Studies 36 (2008): 295-310. Imperialism and Internationalism in the Discipline of International Relations, edited by David Long and Brian C. Schmidt. Albany, NY: State University of New York Press, 2005. The Political Discourse of Anarchy: A Disciplinary History of International Relations. Albany, NY: State University of New York Press, 1998.